Online Full Screen jQuery calendar are quite useful as they allows to create schedule, agenda, events, reminders, scheduling meetings and many more useful things. So, in this post we have collected 5 Free jQuery Full Screen Calendar Plugins which are lightweight, easy to integrate. Full month calendar jQuery plugin that looks like Google Calendar. All UI elements such as next-month & previous-month buttons, add event form, edit event form, tooltip, etc, are not part of the calendar plugin. 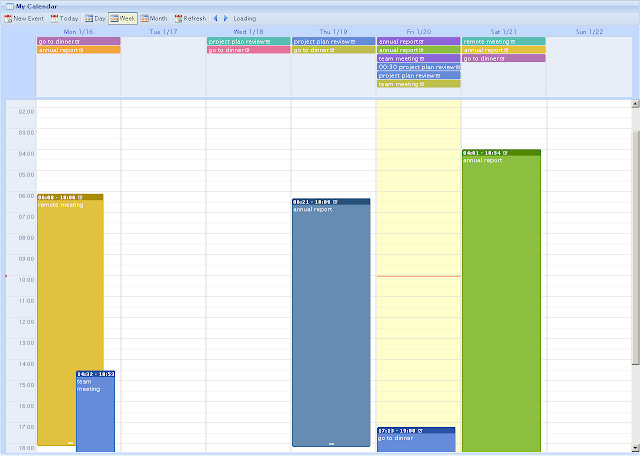 The jQuery Week Calendar plugin provides a simple and flexible way of including a weekly calendar in your application. It is built on top of jQuery and jQuery UI and is inspired by other online weekly calendars such as Google calendar.